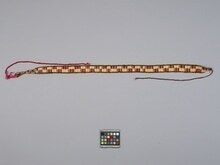 Item number Sf1128 from the MOA: University of British Columbia. 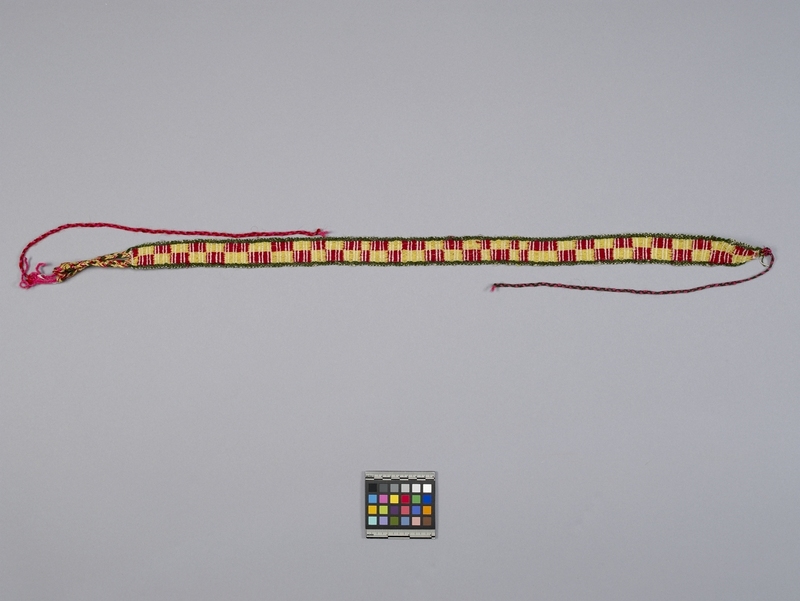 Belt woven with a geometric pattern in alternating yellow and red blocks with off-white and green edges. One end of the belt is finished with two braided strands. Red, pink and green braided ties are attached at each end. Wrapped continuously around the waist of the dress, ties are fastened together and tucked under the belt. Worn by women; every day use.